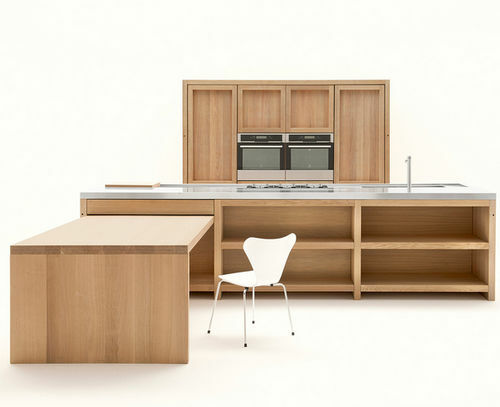 A kitchen with a classic and at the same time with a contemporary style, created by the Italian designer Roberto Pezzetta and presented as a concept kitchen at Abitare il Tempo 100% Project in Verona, in 2012. 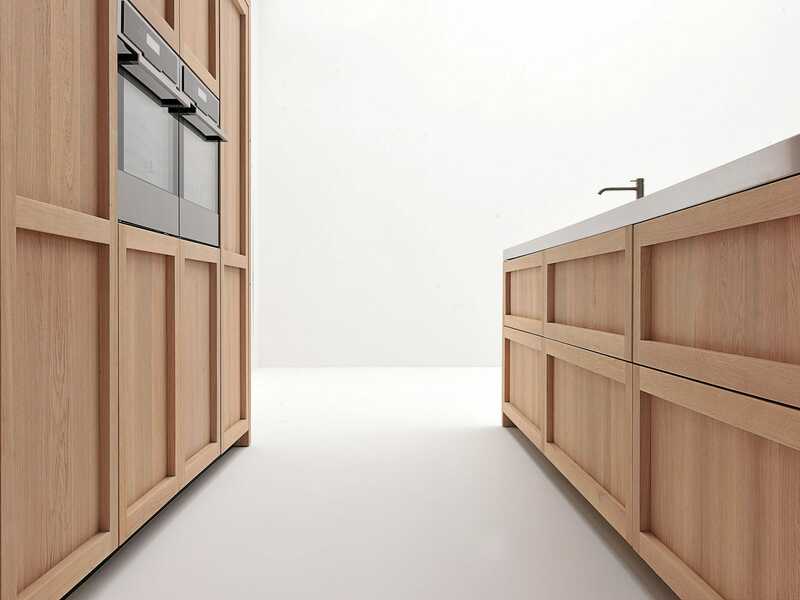 Legno Vivo is characterized by the exclusive use of the natural Oak whose strength is best shown in its simplicity and, in addition, its innovative contents. Oak woods exclusively come from controlled reforestation (FSC); wood logs are dried and cut within the company facilities using a totally integrated process. 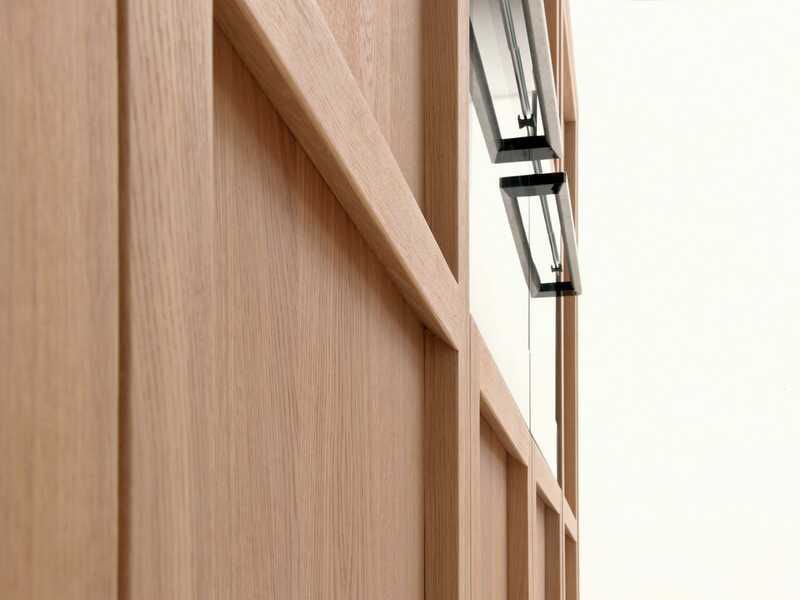 A fundamental aspect of the project is the use of door fronts with a very and unique thick frame (36mm – 1 1/2 inches); with a carved handle obtained from the door frame itself, and finished with a soft-touch varnish. 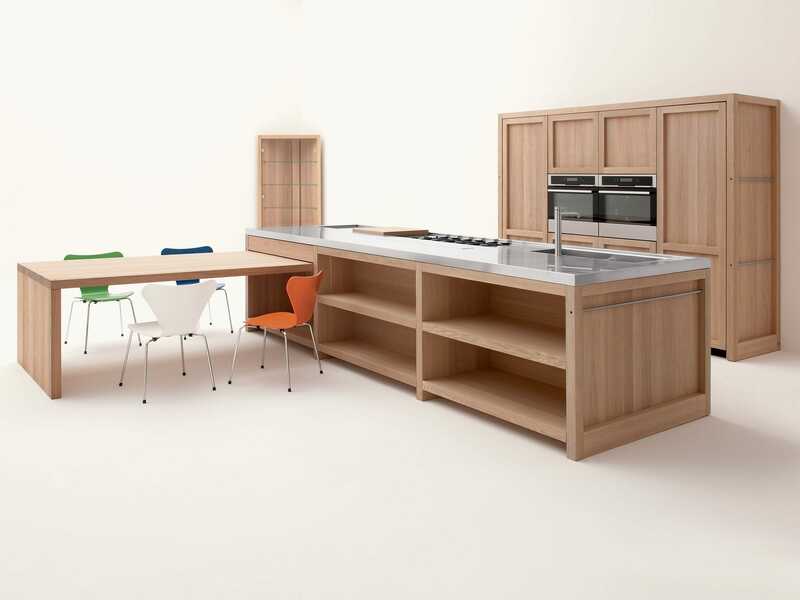 Legno Vivo also includes angled cabinets with clear glass shelves and internal LED lights, countertops with a extendable table for everyday use, for 2-6 people. It is a collection founded on simplicity, with a keen focus on natural materials and durability, and on the possibility of reducing the impact on the environment thanks to use of 100% renewable materials. Timeless and simple, this collection can be passed from generation to generation.